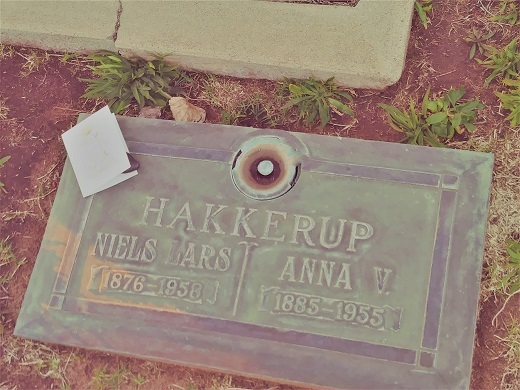 Niels Lars Hakkerup, was originally from Denmark. 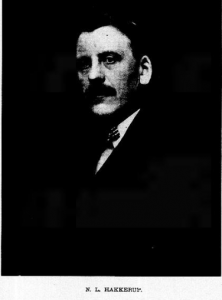 He had direct ties to King Christian X of Denmark. 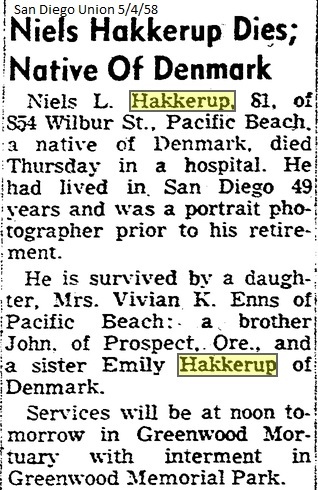 Hakkerup was a photographer and lived a great portion of his life in San Diego, California. A large portion of his direct family are also interred at Greenwood Memorial Cemetery.